The long national nightmare that was the federal government shutdown is finally over (praise be to your God's name here). One of the governmental functions that's getting restarted this week is the Federal Comminications Commission's application process for brand-new low power FM (LPFM) stations -- it's the first such application window in years. And one of the side-effects is that we at WRIR, one of the nation's best-known LPFMs, are fielding a lot of questions from folks who want to apply for broadcast licenses. I don't know if we can give people good advice about how to win one of those coveted licenses. But after almost nine years on the air, we certainly know a lot about what does, and doesn't, make an LPFM station succeed. You know what was the most impactful thing we ever decided, the one decision that's most responsible for Richmond Independent Radio's success? It was deciding that we wanted to be a true community radio station, a station programmed and organized of, by and for the people in our service area. To that end, anybody can be a volunteer at WRIR. We encourage volunteers to produce their own programming, whether it's music or news, live or pre-recorded, long-form or modular, weekly or occasionally. And when we air programs that we don't produce ourselves, we choose them with an ear for what our community members want to hear. There's another important dimension to community radio: the community pays for the service itself. We run this station almost exclusively on contributions from our listeners and volunteers. Fully two-thirds of our $120,000 annual budget is raised in our semi-annual fund drives. Underwriting donations from local businesses who want to support community radio in their own community is our second-largest funding source. Money we earn at the community events we host (like the Party For The Rest Of Us, the Monster Mashquerade, and the Music History Tour) is our number three source of cash. All three of these categories are perfect examples of the community paying for community radio out of its own pockets. 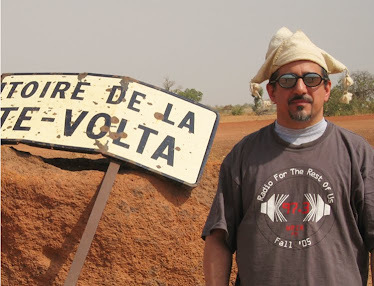 Community radio works beautifully when the whole community pulls together as one. Right now, during WRIR's Fall '13 Fund Drive, is the time when we ask you to participate as a donor. Make it happen for your community -- please consider making a donation today. 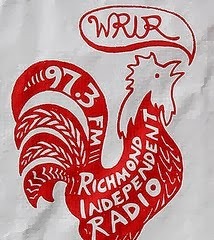 Thank you for your support, and long live Richmond Independent Radio!